Baking is always one of those jobs that I want to get on and do but then often think it’s too much hassle! Especially when you have a young aspiring baker. Sometimes the recipes are too complex and it means you both get frustrated! That being said baking is a fabulous activity that little ones can and should get involved with! So why not make these really simple mini cupcakes that your little ones can decorate as they wish! Add in the egg a bit at a time until fully combined. Gradually Sieve in the flour and baking powder mixing with a metal spoon. Add milk if mixture is too stiff. I gave Henry a number of different Dr Oetker baking decorations and gave him free rein to decorate the mini cupcakes as he liked. The Dr Oetker Icing is pre-mixed and so simple to squeeze on top of the cakes even without my assistance. This has made a great half term activity that took little effort but created a lot of fun! We used the Dr Oetker Easy Swirl Cupcake Icing and it is an absolute dream to work with Henry was swirling rose shapes on cupcakes like he just won The Great British Bake Off! Despite this being a ready made icing it actually tastes delicious too!! 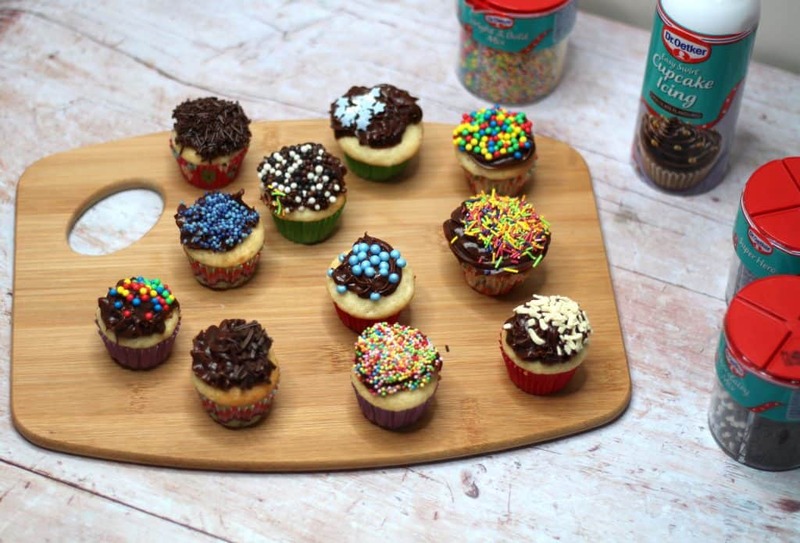 Henry also used a range of the Dr Oetker Sprinkles to decorate and they have such a variety there is bound to be something for every little baker! 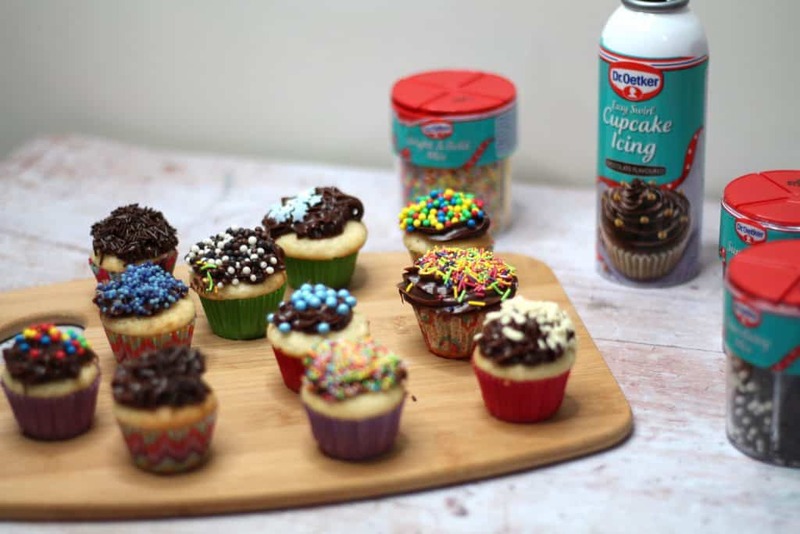 For more information of Dr Oetker products available to help make things easy for your mini bakers check out their website here. Thank you so much for stopping by if you enjoyed this then you might also want to check out my Unicorn Cookies! I received some of the Dr Oetker items on a gifting basis however as always words, views and opinions are my own. For more information on any of this please visit this page. Next Post Braun Silk-épil 9 – Review – What Did I Think?